What are some of your career or personal milestones that people should know about you? "Early in my career, I was hired by an advertising agency. The prospect of working on a major brand was exciting. I was assigned to a team working on a leading consumer brand – then I found out the product was toilet bowl cleaner! Not quite what I initially had in mind. What I soon learned, however, was that while perhaps the category wasn't exciting – from the perspective of a young professional – the experience provided enormous opportunity for skill development. The brand had a large budget, lots of data and consumer insights, and the campaign included a wide range of promotional elements. Most importantly, I learned that every opportunity can be learning experience if you can put away preconceived ideas and engage with earnest curiosity. Being curious and tenacious ended up opening the door that led to my getting hired at The Coca-Cola Company. We don't always know the path ahead, but need to trust that every step leads to another one." Is there a program at Graziadio with which you’re closely involved? Over the past decade, students have engaged in more than 400 consulting projects, benefiting students and businesses alike. Just last term, one of my students was able to take what she did in her E2B project and land her dream job, all because she was able to demonstrate real-world experience. And now we've taken a big step forward in that we were approached by Sage, a global academic publisher, to create a series of cases based on E2B class case projects. Top schools all over the world, including Yale, Kellogg, Georgetown, and Cambridge, will also contribute cases, and Graziadio students will have their work and efforts in front of graduate and undergraduate students on a global scale." "Well, that's sort of like being asked to choose your favorite child! But I'm partial to Market Innovation and Commercialization. In that course, I seek to impart a deep understanding of how innovation drives prosperity in this highly competitive global economy. Students gain the skills, knowledge, experience, and confidence to drive innovation in their professional lives and careers. The course is rooted in Michael Porter's theory that 'Innovation is the central issue in economic prosperity.' This course includes an E2B project, which helps to bring the coursework to life. Students apply what they are learning in class to create commercialization plans for their client organizations. So, both students and clients benefit. It's a very rewarding experience. Is there a personal philosophy or "words to live by" that you like to impart on students? “There are a few, actually. The first is to always be curious. We're born with innate curiosity. We need to remind ourselves to keep learning in every aspect of our lives, throughout our lives, in order to fuel our personal growth. The second is to resist the temptation to be passive in the face of barriers. Instead, ask 'why not?' and look for creative solutions to problems. What makes Pepperdine Graziadio School unique? “It's a remarkable place. From administrators to faculty and staff, we have high caliber, values-centered individuals teaching the next generation of leaders. Faculty members are highly accomplished in their fields of teaching, and are engaged in interesting research and community service. Our small classes give faculty the opportunity to form relationships with each student. That is such a gift. What is one piece of advice that you would give incoming or current graduate students? 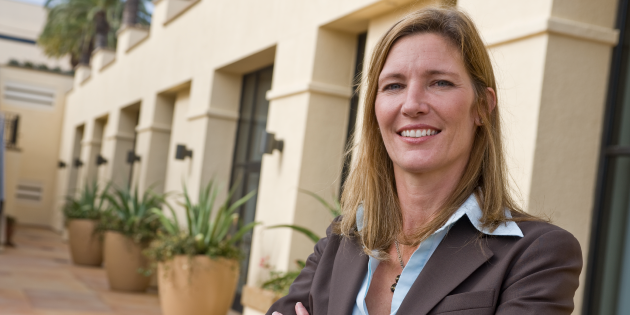 Before joining the Pepperdine faculty, Professor Doreen Shanahan worked for over 20 years in the consumer package goods, publishing and advertising industries. While working in Corporate America, she became an expert in marketing, strategic planning, branding, promotion, distribution, sales, customer management and organizational leadership. A former vice president with The Coca-Cola Company, Professor Shanahan held a variety of positions with strategic, customer and marketing management responsibility during her 15-year career with the beverage corporation. 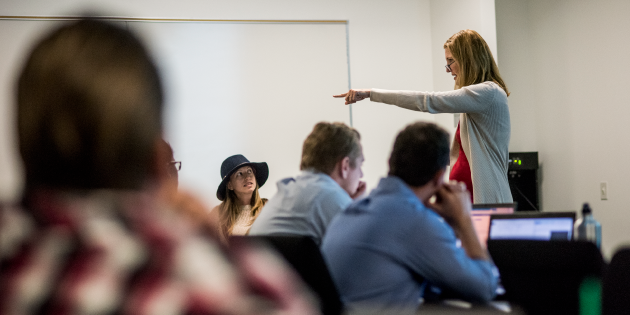 An impassioned educator, emphasizing applied and experiential learning, Professor Shanahan is responsible for creating, developing and successfully launching the Graziadio Business School's program entitled "E2B," where she serves as director. This structured program provides students the opportunity to gain real-world business experience as they work in competing "consulting" teams to resolve current business problems for partnering companies as class case projects. She has developed and written over 300 E2B cases with regional, national and international organizations, including Warner Bros., The Walt Disney Company, Volvo and Cisco, as well as small businesses tackling challenging business issues across a range of industries. Professor Shanahan is one of 35 executives profiled in the book What's Your BQ? : Learn How 35 Companies Add Customers, Subtract Competitors, and Multiply Profits with Brand Quotient. Her current research, speaking and consulting efforts are focused on developing and harnessing an organization's orientation toward marketing to lead growth and innovation. She is a recipient of the 2016 Howard A. 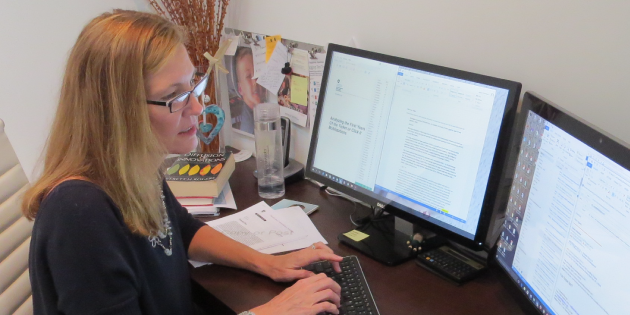 White Award for Teaching Excellence and is currently pursuing her PhD at Pepperdine University.